Thinking of going Blonde this Summer? Here’s what you need to know! Going blonde for the summer is a popular makeover choice for Australian women. It’s a great way to imitate (and improve on) the natural hair lightening that occurs during the hot and sunny summer months, as well as a way to signal to oneself that winter is finally over. If you’re thinking of taking the plunge, here’s what you need to know to make the most of your transformation. The first thing you’ll need to decide is what kind of blonde to go for, as each shade will have different implications in terms of upkeep, impact as well as suitability. SUBTLE – If you’re looking to subtly brighten your look and have dark hair you can add subtle Ombré or two-toned highlights. If you have dark skin, these chocolate and caramel shades will suit your skin tone. NATURAL – Shades of natural blonde, such as strawberry, honey, or beige are the best picks for a natural look. If you want your hair to look like you’ve just returned from a fabulous vacation, this is for you. BOLD – you don’t get bolder than platinum blonde. This popular shade can have an ash grey tint (with balayage), or you can make it even edgier by integrating shades of silver. This look is not for the faint hearted! Once you’ve selected your ideal shade, get in touch with us, and get ready to look fabulous! 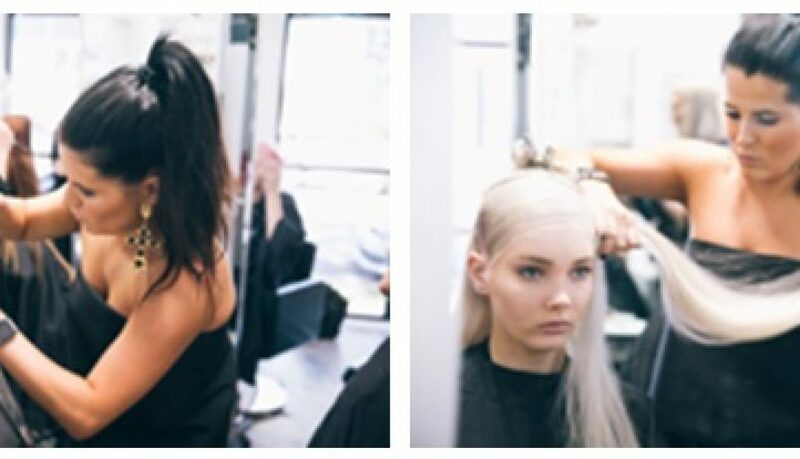 Working with Brisbane’s best stylists for event worthy hair is as simple as booking an appointment witha reputable salon. Of course, if you truly want to look your best at a wedding or party, we have some advice you should follow before coming to your salon appointment. These tips will ensure that you’ll be absolutely thrilled with the end result of your styling experience. The last thing you want is to fork over your hard-earned dollars for a hairstyle that looks cheap and unattractive, or that you could have done yourself at home. Before you choose a hair stylist, ask to see previous examples of their handiwork. Or you can have a look on their Facebook or Instagram feeds. Book an appointment with your salon the moment you’ve officially RSVP’d your attendance. This will ensure your preferred stylist is available on the day. If you have a specific style in mind, it’s a good idea to speak to your stylist in advance so they can let you know what to expect, and how longyour session will be. Taking these steps will make sure that you’re relaxed and ready hours before the event. Keep your event conditions in mind when thinking about a hairstyle. If you’re going to be seated in an air-conditioned venue for the duration of your evening, you can play with ornate and dramatic styles or updos. However, if you’re going to be MC’ing an event or spending time on a packed dancefloor, you’ll need a style that resists sweating, heat,and movement. Be sure to ask your stylist for pointers on how you can keep your hairstyle looking great for your entire evening, or even for a day or two. Some people get their hair done in preparation for an activity packed weekend, and with the right instruments and products could extend the lifespan of your style a bit longer, which means you’ll get to enjoy great hair for days. Follow the above tips and you can look forward to great, selfie worthy hair at your upcoming event, without any of the usual stress or fuss. This month I have been… as proud as can be! Rokstarand I have been nailing it in the crazy world of hairdressing industry awards! Spanning business, creative and educational categories, I am so pumped that we have made the finals in absolutely everything we entered! In addition, I made the finals of the Australian FAME Team, which is a year-long programme of knock-out opportunities to be mentored by industry legends both in Australia and in the UK and to appear on stage at hair exhibitions in Sydney and London. I recently went to Sydney where I had to complete three unseen hair styling and haircut challenges, in addition to presenting a model live on stage and answer some questions posed by some of the biggest names in the Australian hair industry. Nervous? Just a little bit! Finally I have made the final six in Queensland Hairdresser of the Year at the Australian Hair Fashion Awards, one of our industry’s premier photographic and creative awards competitions. My collection called ‘Existential’ is one of only six in Queensland to be chosen to make the finals amongst some amazing company and many of my friends – needless to say I am BEYOND excited! The AHIA awards are announced in Brisbane on 26 March while FAME and AHFA are announced on 2 April in Sydney, so stay tuned and keep it all crossed for me!!!!! 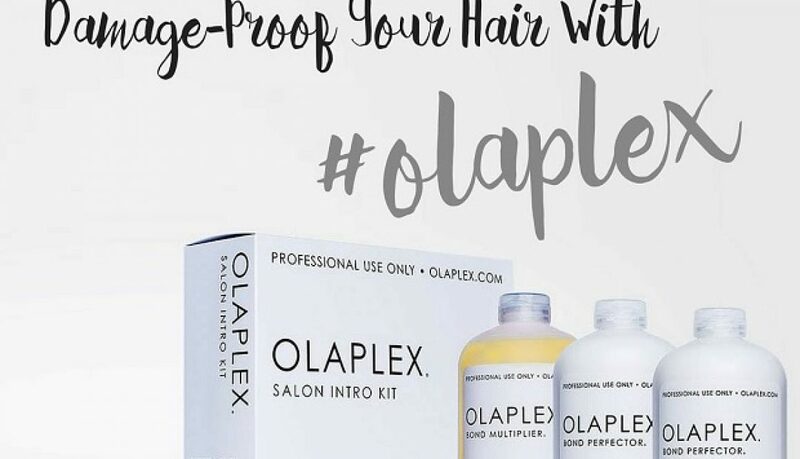 Have you heard about Olaplex? We bet you already have! If you haven’t, you must have been living under a rock. Everyone in the hair industry can’t stop talking about it since it hit Australian shores early in 2015. Touted as “insurance for your hair,” Olaplex is a revolutionary salon treatment that promises to actually FIX damaged hair and restore them back to their virgin state. Many so-called “breakthrough” products have already made such claims but fell short in the end. In Olaplex’s case, sometimes what sounds too good to be true, actually turns out to be… well, true (we kid you not!). What Is Olaplex? This is where it gets technical! In a nutshell, Olaplex is an innovative 3-step hair treatment which claims to “reconnect broken disulfide sulfur bonds in the hair” to prevent damage to the hair during or after colouring. Hair bonds get weak and broken during long sun exposure, chemical services and overuse of hair tools, among others. Olaplex will rebuild damaged hair and will restore it back to its former glory. The active ingredient in Olaplex is a compound called bis-aminopropyl diglycol dimaleate that is said to form an artificial disulfide bridge that creates bonds in the hair. It strengthens the hair from the inside out, whilst retaining its length and shape while getting a haircut, colour or even a blow-dry. Adding Olaplex Bond Multiplier No. 1 to the lightener or colour after mixing in the developer will eliminate any probability of hair breakage. 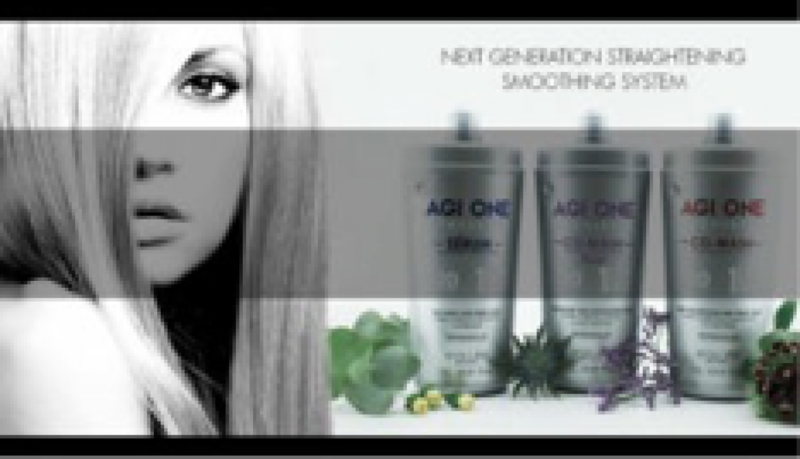 This will allow your hair to take high concentrations of colour to achieve lighter hair you never thought possible. If you are opting for brunette shades, it will make the colour last longer and much shinier. After the colour is rinsed, finish by applying Bond Perfector No.2 and let it sit for 10 minutes before shampooing and conditioning. Use Hair Perfector No.3 once a week to make the hair healthy, post-hair colouring. Despite the emphasis of use on coloured hair, Olaplex can be actually be used anyone as a stand-alone treatment to resuscitate brittle and weak strands. So, the next time you visit Rokstar Salon, ask our stylists about Olaplex. It’s one of the best hair treatments we’ve used (like EVER) and we guarantee that your hair will thank you for it.